Preheat canola oil in a deep fryer to 350 degrees. 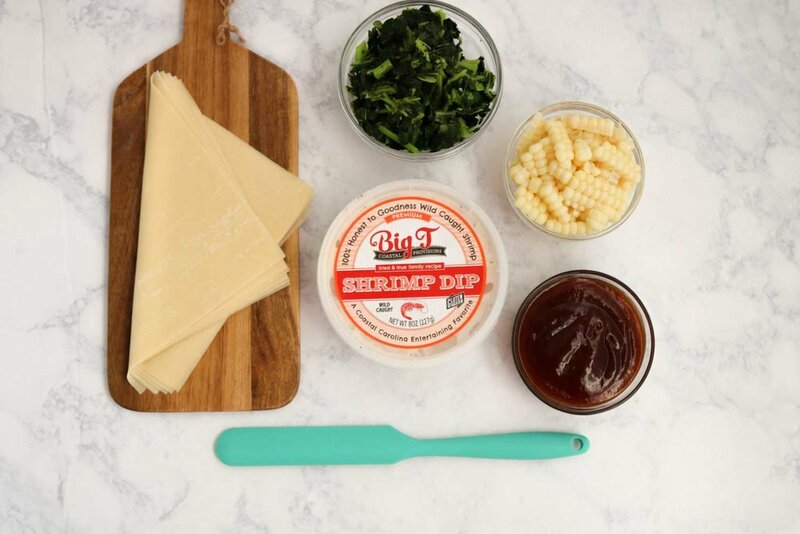 Combine the shrimp dip with the corn kernels and season with salt and pepper. Working one at a time, lay out an egg roll wrapper diagonally on your work surface. Place 3 tablespoons of the collards in the center of the egg roll wrapper. Top the collards with 3 tablespoons of the shrimp and corn mixture. 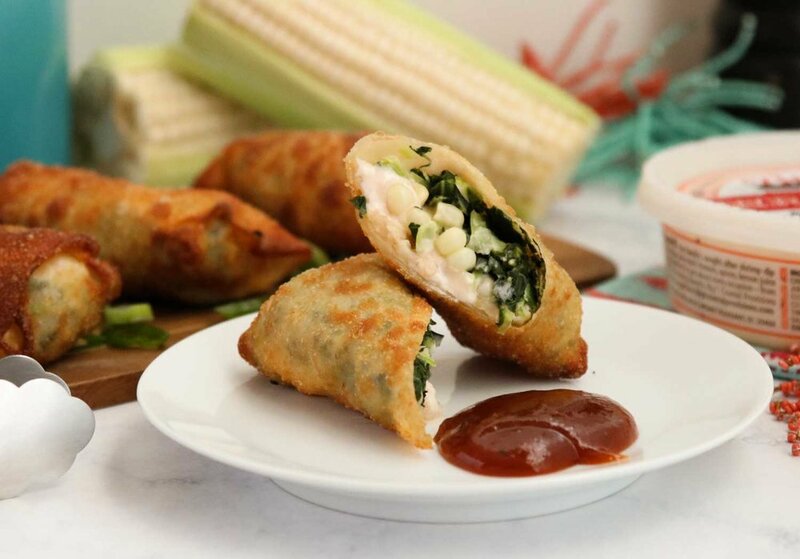 Roll the egg roll up by folding the bottom point up over the filling. Fold in the sides snugly. Brush the top point of the wrapper with water and then roll up to seal. Place the eggrolls in the oil and cook until browned and crispy, about 3 minutes. Remove from the oil and set on a wire rack to drain excess oil. Serve alongside BBQ for dipping.